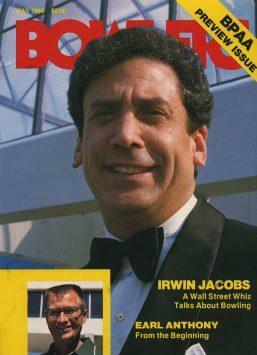 Irwin Jacobs got cover billing in the May 1986 issue of Bowlers Journal International as a "Wall Street Whiz." Irwin Jacobs, who acquired AMF Inc. in 1985 in a “hostile takeover,” has died along with his wife, Alexandra, in what is being described a murder-suicide. Both were 77. The couple was found at their home in Minnetonka, Minn. In recent years, Alexandra reportedly had been suffering from dementia, and often was seen in a wheelchair. Known as “Irv the Liquidator,” Jacobs acquired AMF shortly after the company had reported a $7.3 million loss for its most recent six-month reporting period. He immediately implemented aggressive cost-cutting measures, trimming the headquarters staff from 200 to 60. Although he said he intended to retain a sizable chunk of the company — specifically the sports and marine products divisions that made Hatteras yachts, Head skis and tennis equipment, AMF bowling equipment and Ben Hogan golf gear — he quickly put units that accounted for 53 percent of AMF's 1984 revenues of $1.1 billion on the market. 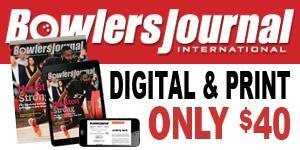 Reports at the time described the AMF staff as “devastated” by the cutbacks. One employee who was let go described the atmosphere as having gone from that of a morgue to that of a cemetery. 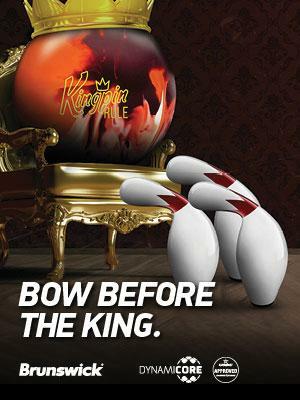 Later that same year, a group of private investors in Richmond, Va., acquired AMF’s bowling centers and bowling products division to form AMF Bowling Companies. 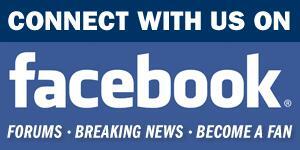 The reported purchase price was $225 million.